paydesk has 2 analysts in Kuwait. Our analysts, usually professionally trained journalists, can perform: competitive analysis, economic analysis, industry and sector analysis as well as background research. 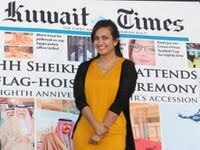 Our top analysts in Kuwait are abdullah hassan and faten omar. Use our analyst directory to find a member to work for you. We have analysts in Kuwait City and Salmiya.